NBC’s TODAY Show aired a segment about World Bicycle Relief and Zambia’s fight with HIV/AIDS. The piece, by correspondent John Larson, was filmed in Zambia, and is related to his blog post, Hope, Loss, and Bicycles in Zambia. In its third year, AfricaBike announced it’s giving away another 1,000 bikes and raising more money. 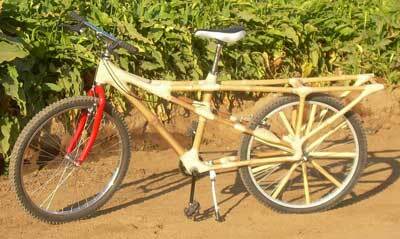 We uploaded a photo of Calfee’s bamboo bike yesterday and it was featured in Velonews last month.